The ultimate chocoholic’s afternoon treat! 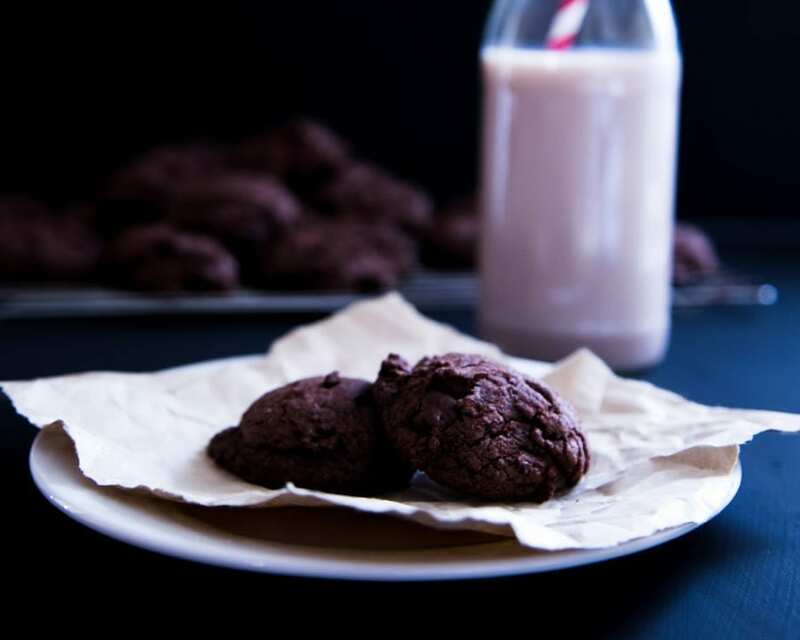 The Sweet Magazine team work hard developing and testing recipes like this chocolate choc chip cookie, striving to make everything completely delicious. Every now and again though, they come up with a recipe that is too delicious for it’s own good, a recipe that yields a cake where a single serve just won’t do, or a batch of cookies that vanish before you get a chance to put them on a plate. 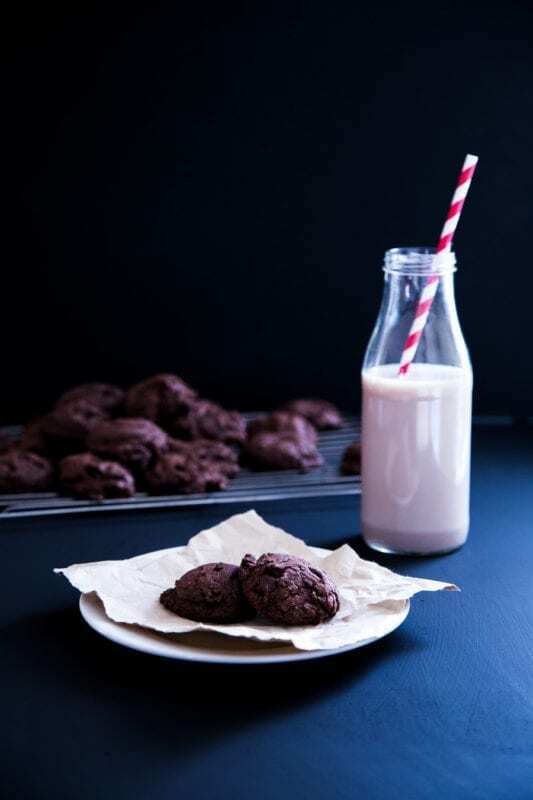 These cookies from Issue Seven of Sweet Magazine are seriously the ultimate chocolate choc chip cookies, bake a double batch and hide a stash for yourself because they’re guaranteed to disappear somewhere between the oven and the plate! Pre-heat your oven to 180*C, and line a biscuit tray with baking paper. Set to one side. Mix together the melted butter and sugar, and allow to cool. Add the eggs and vanilla, and stir well until combined. Sift together dry ingredients. Add to the wet ingredients slowly until all the dry ingredients are incorporated. Fold thought the chocolate chips. Use a rounded teaspoon measure to heap small amounts of the mixture onto your tray, approximately 4cm apart. Bake for 8-10 minutes. The biscuits should be soft and chewy in the centre. Store in an air tight container for up to one week (Hahaha! We doubt they’ll make it off the tray in to a container! ).